I have been noticing these trees having white fluffy stuff on it the last few weeks. 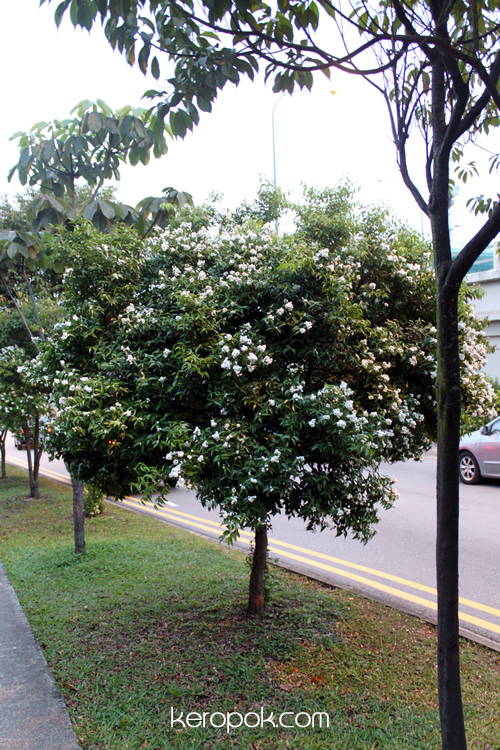 Singapore has the so called 'sakura' flower trees, but these white plants are a bit different. They do not have the pink flowers, and the leaves of these trees are still in tact. They look quite nice when you are near it. 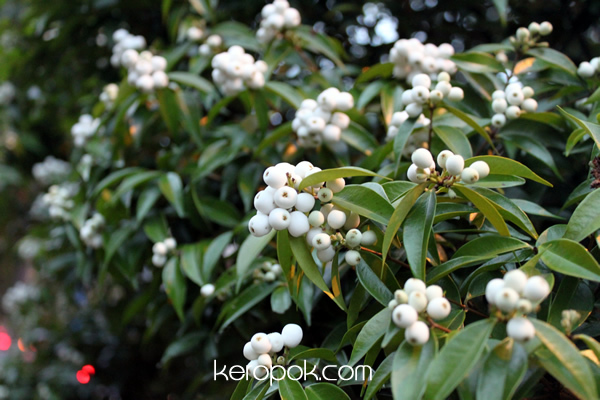 It looks like white berries. Anyone botanist out there knows what is this plant called? I saw this in Chinatown today and wondered what it is. I still have no idea. It is a few stories high and it's just empty. Anyone knows what this is for? My camera went a bit weird. Some aliens inside? The two photos that I took seems washed out! haha.. 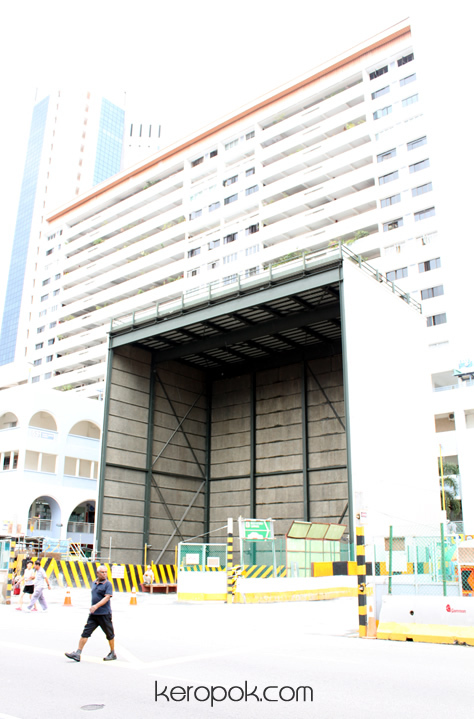 It has been a long long time since I walked the "tunnel" of the Esplanade. 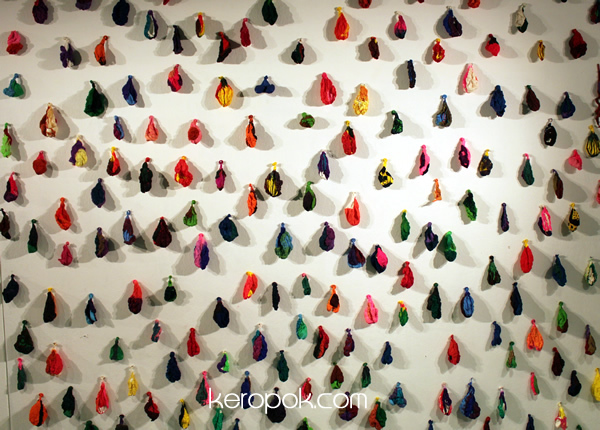 There are always great interesting art pieces hung on walls along the tunnel. 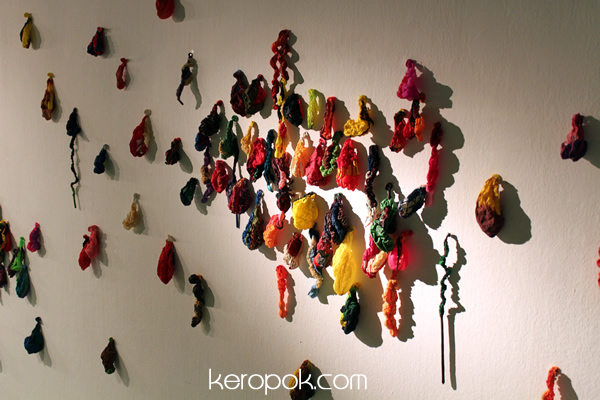 This arts work is called Inevitable by Juriani Mansor. What is you are all inspired by the human skin. Things appear so quickly in Singapore. I have not been along Pasir Panjang Road / Telok Belangah area and suddenly I see new buildings up! A Mapletree Business City just appeared out of no where! It looks very sleek though! I had to google to find the name of this place! 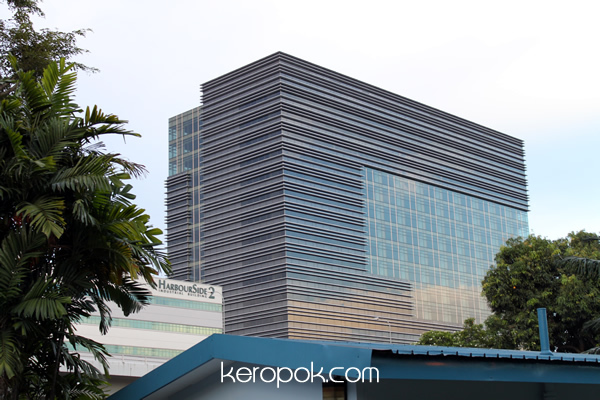 By the way, this is only 1 building out of the many buildings that is called Mapletree Business City. I should go visit the inside one day! This stray cat lives near our office. 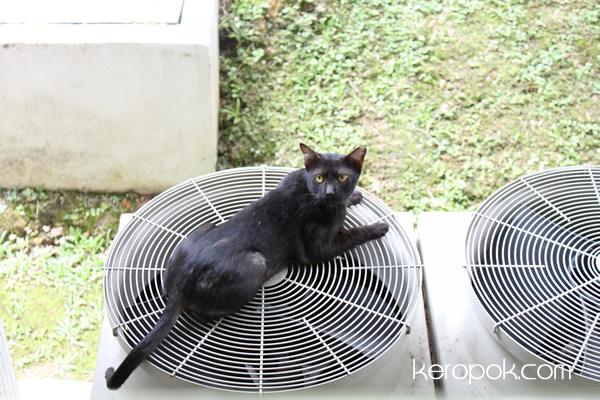 We realized it loves to keep warm and it will usually climb up the aircon compressor to enjoy a warm air blowing up. 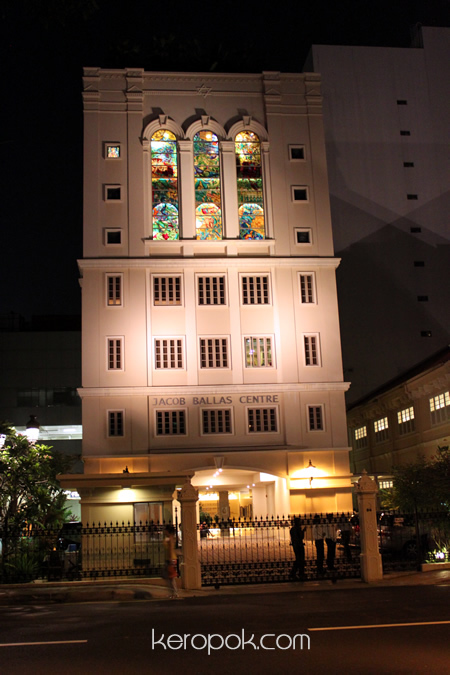 The Jacob Ballas Centre next to the synagogue. I like the stained glass windows! You should do a google/yahoo/bing about this centre. It has quite a history. Even Jacob Ballas is linked all the way to Baghdad, Iraq! For me, I shall visit this place and visit Awafi Restaurant there one day. 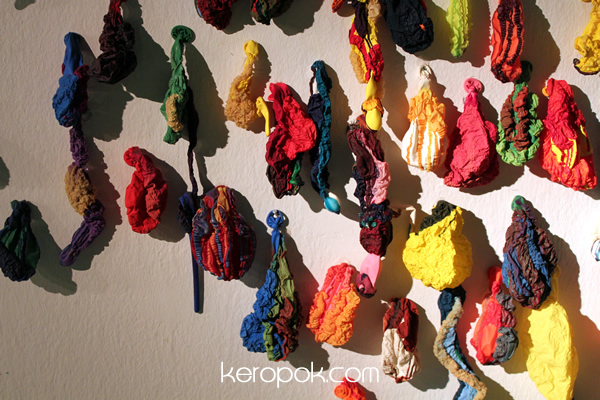 One of the 4 places in Singapore to get Kosher food. The Maghain Aboth Synagogue at night. I was walking past and thought it looked beautiful. Constructed in 1878! 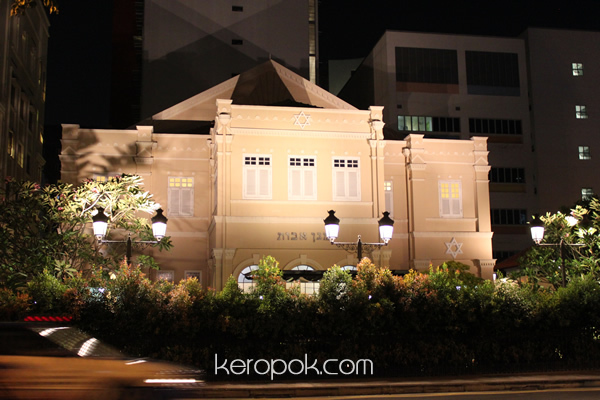 It is the oldest Jewish Synagogue in South East Asia. The F1 season must be coming soon! 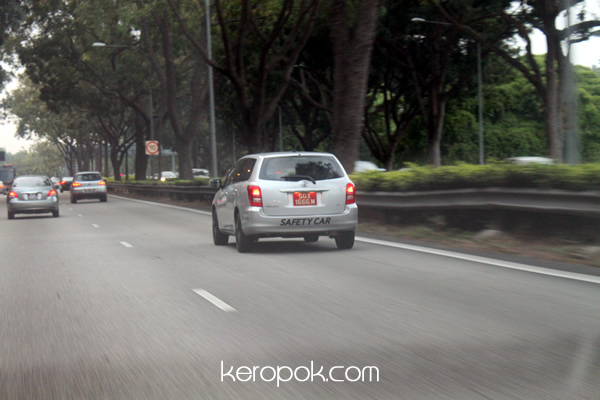 Saw this Safety Car on the express way! It's also only available off peak. My favourite ride at USS. 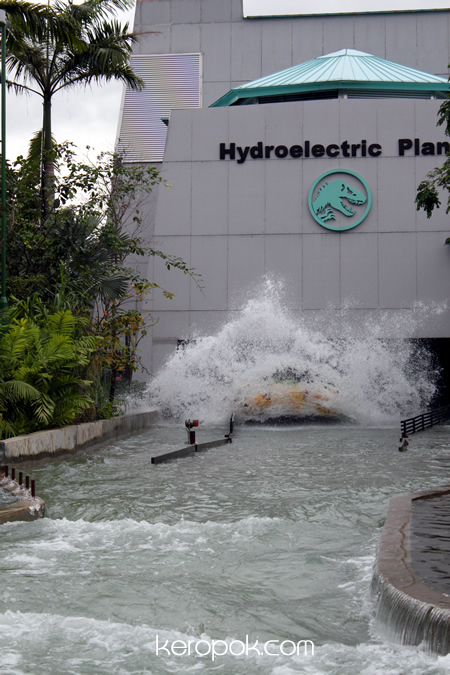 It's one of the more exciting ride at Universal Studios Singapore. It gets you really wet! It's so fun! 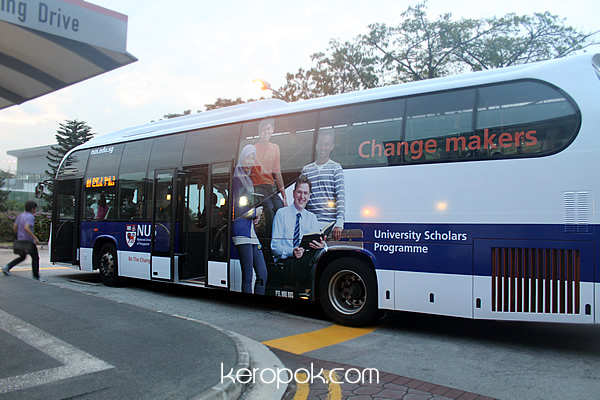 If you are one of those who take the NUS Internal Shuttle Bus service, you would have realised they have re-wrapped the buses with new advertisement. The only problem is like any other buses in Singapore, people do not move in. For students, staff and academics who works in NUS, buses seems to be an obsession. The buses are always so packed, so any higher capacity buses are always much appreciated. Buses, food and the occasional freebies that is around campus seems to be a good distraction to studies and the obsession to get papers published in the Rank 1 conferences. During lunch time these few days, people have been talking about the new double decker buses. 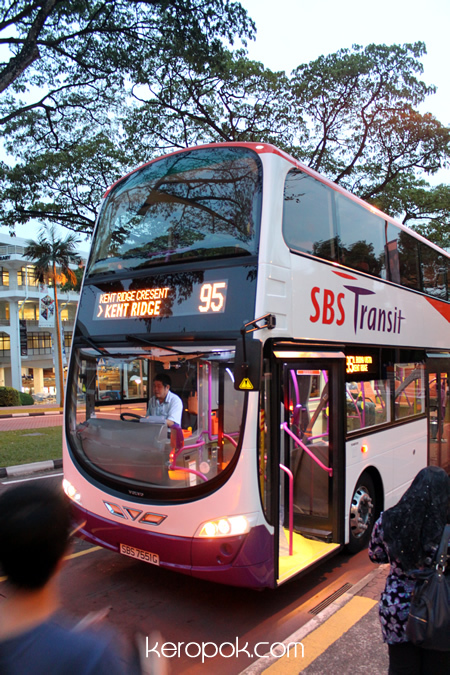 SBS Transit is now deploying the Volvo B9TL (Wright Eclipse Gemini 2) buses on Service 95! The latest model of double deck buses around Singapore and the design is very roundish. Even the interior has everything round. These buses are comfortable! Thanks to Otterman who spotted it and notified me for a stakeout. This photo was taken on 1 March 7:35 PM.